Iranian President Hassan Rouhani says Tehran has always contributed to peace and stability in the neighbouring Afghanistan because a stable and secure Afghanistan is highly critical for the regional security and development. In a meeting with his Afghan counterpart Ashraf Ghani on the sidelines of a summit of the Shanghai Cooperation Organization (SCO) in the Chinese port city of Qingdao on Saturday, Rouhani underlined that Iran will not withhold any effort to contribute to restoring permanent peace to and fighting terrorism in Afghanistan. 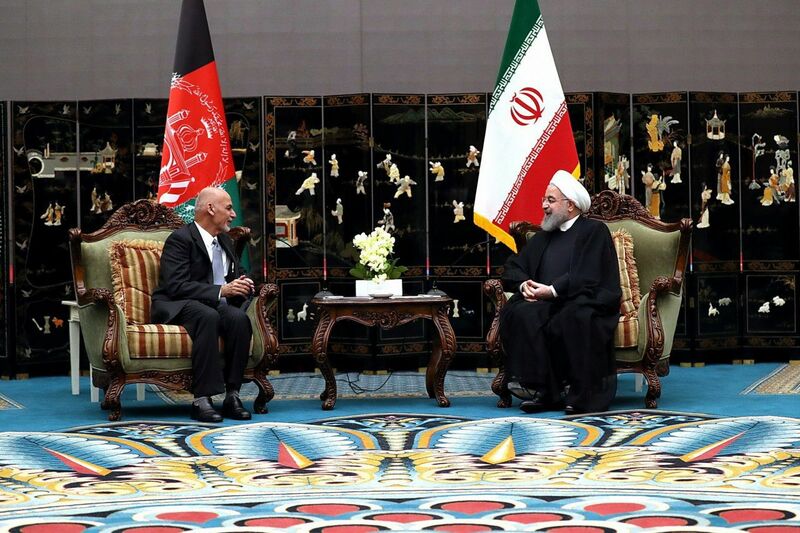 “Iran has always stood by the nation of Afghanistan over the past four decades and as two neighbouring and brotherly states, the two sides have significant cultural, security and trade commonalities,” he was quoted as saying in a report by the President’s Website. He then expressed hope for signing a comprehensive agreement for cooperation between Iran and Afghanistan in the near future and said Iran is interested in expanding its ties with neighbouring states particularly Afghanistan and making joint investments in various development projects like transit infrastructures. “The big project of Chabahar port in Iran which is underway with the participation of Iran, India and Afghanistan is a long stride in rebuilding transit roads of the region,” he said. The Iranian president then described the two governments’ support for continuous economic development and the private sector as highly necessary and said Khaf-Heart Railway and other similar development projects in the region should be pressed ahead with political and economic coordination. He then referred to the global outrage over the US withdrawal from the Iran nuclear deal and said the illegitimate move by the US was not a mere pullout of a multi-national agreement but a stark violation of the UN Security Council’s resolution. Rouhani finally called for further efforts to fight against drug trafficking and said Iran and Afghanistan as well as other regional states should fight hand in hand against the problem which is a serious threat to the whole region.